My faith has been restored – the Pink Moon delivered in abundance. 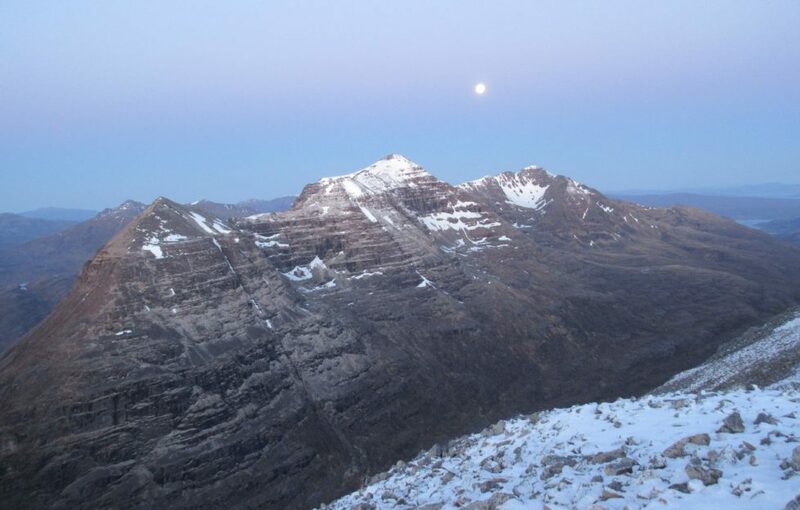 I had chosen Beinn Eighe for my Pink Moon hike due to memories of a wonderful December sunset. 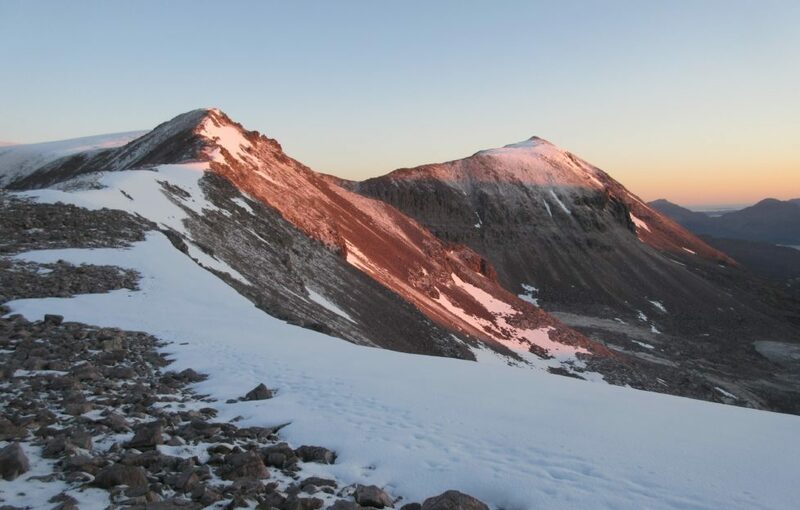 I had sat at the rim of the magnificent Coire Mhic Fhearchair as the sun slowly made its journey below the horizon. It had turned the soft red peaks of Flowerdale all shades of pink. On April 30 we had a perfect clear night. 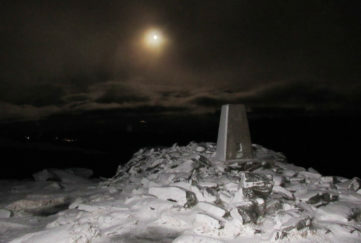 The moon rendered head torches redundant on the initial walk in – even with Liathach’s dark walls casting a long shadow. We curved round towards Coire Mhic Fhearchair, the moonlight temporarily snuffed out in the depths of this valley of leviathans. The corrie was hidden in shadow, the ground invisible. We lost the path in the boulder maze, so took a direct line to the stone chute. 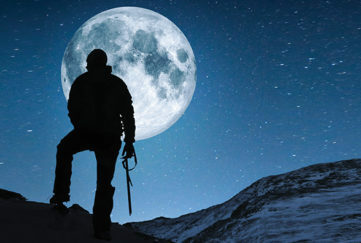 We could see a long, dark ridge on our left behind which rose snow-dusted slopes, but it never seemed to get any nearer. 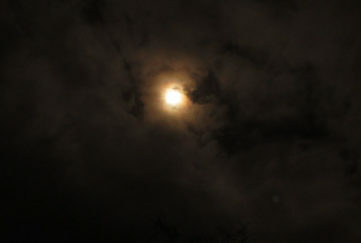 Then the penny dropped – we had been trying to catch a moon shadow. We reached the shining white slash of the gully to find it filled with hard snow. Previous hikers had kicked steps, but these were filled with fresh snow. We re-kicked our way up the steepening angle with axes as security guards. 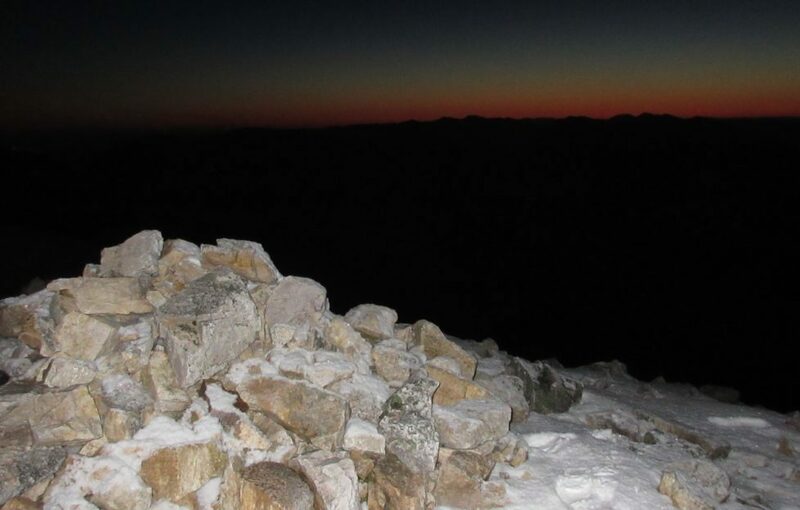 The gentler rise to Ruadh-stac Mor was in fresh powder, lit from the west by the moon and from the east by an orange, yellow and pink glow on the horizon – a tequila sunrise of a dawn. We pushed back along the ridge, the glow strengthening behind us. 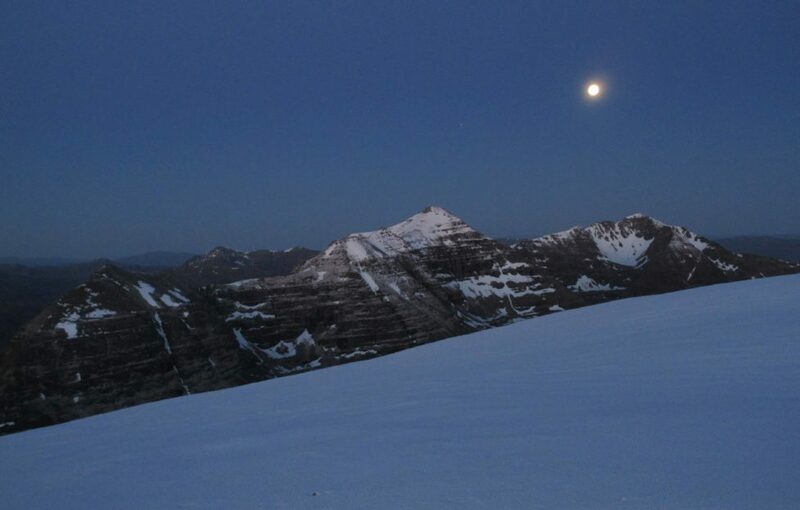 The formidable pyramids of Liathach looked like the high points of an alien planet with the moon sitting just above the summits. All around the colours were changing with every step. Copper, orange and pinks sluiced over the slopes of Coire Ruadh-staca. 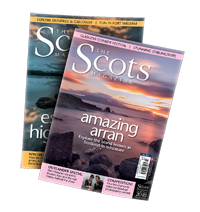 A blue horizon switched to pinks like litmus paper over the glowing tips of Liathach. 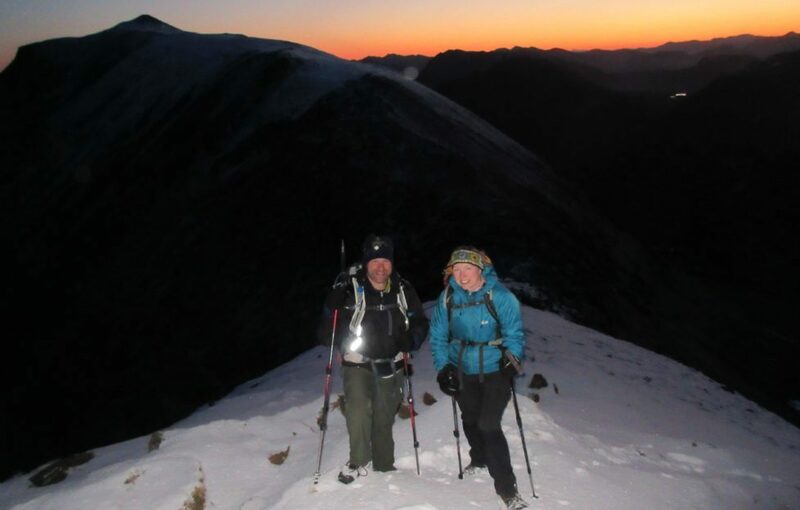 Within minutes we were walking in full daylight to the second Munro summit, Spidean Coire nan Clach. The dark rock towers stood in stark contrast to the blankets of deep, pristine white sweeping down its flanks.